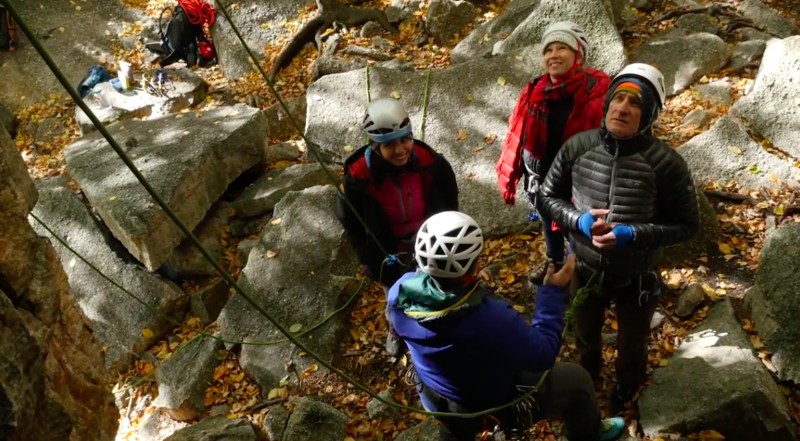 REI's outdoor school teaches students how to recreate outside while respecting the outdoors. Rock climbing is having a moment. In 2017, a record number of new climbing gyms opened in the U.S. Last month, National Geographic’s Free Solo, which features climbing superstar Alex Honnold, was nominated for an Oscar. In 2020, for the first time, climbers can compete at the Olympics in Tokyo. In New York City alone, the climbing-curious can check out a dozen gyms, with a handful more scheduled to open before the end of 2020. At some point, many gym climbers eventually get the itch to take the sport outside. When they do, REI outdoor school instructor Taino Grosjean hopes they’ll “leave no trace,” a philosophy that crags should remain as untouched by people as humanly possible.